2,100 Louth County Council residents have seen the installation of the climote remote control heating system in their homes which allows users to remotely control their home heating and adjust the temperature from anywhere using smart technology, allowing families ensure that the heating is only on when they require it. The local authority has recently completed a major Energy Pilot Project with upgrades to 2,100 homes across the county, including, Drogheda, Dundalk and Mid-Louth. 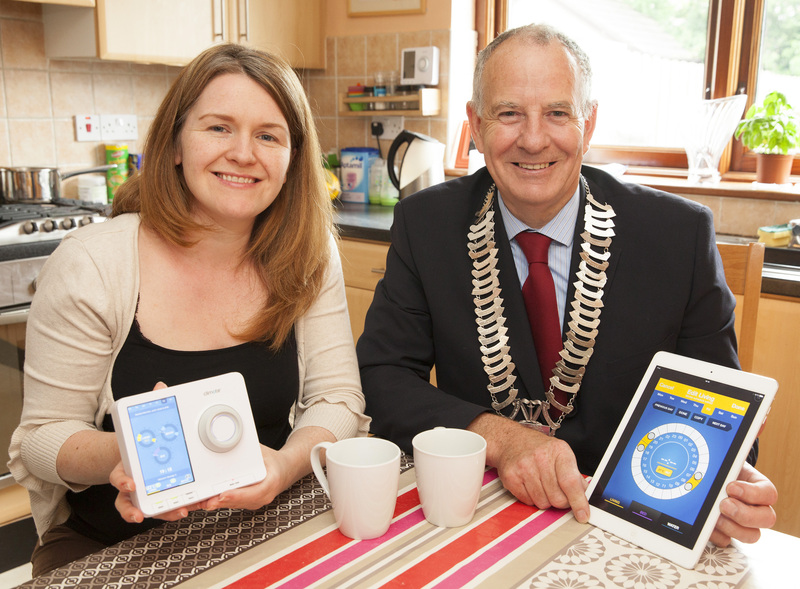 Termonfeckin resident Claire Duffy is high in her praise of the system and she welcomed outgoing Cathaoirleach, Cllr Oliver Tully into her home recently to let him see firsthand the benefits of the new climote installations. Louth County Council’s project partners on the innovative scheme included Electric Ireland, Sustainable Energy Authority of Ireland (SEAI), Kingspan and climote.